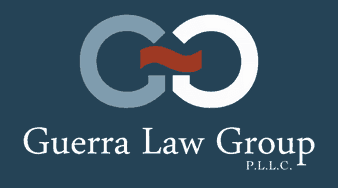 Thank you for contacting the Guerra Law Group. We received your information and are reviewing your potential claim. A member of our legal team will contact you as soon as possible to further discuss your claim. We are dedicated in representing and fighting for the rights of our clients who have a legitimate claim. We are skilled attorneys and have the experience and resources to fully litigate your claim and to get you the compensation you deserve. We are devoted in effectively protecting our client’s interests. We look forward to working for you and your loved ones. Guerra Law Group, P.L.L.C., of McAllen, Texas, provides representation in Harlingen, Pharr, Edinburg, Mission, Mercedes, Donna, Reynosa, Brownsville, San Benito, La Joya, Alton, Palmview, Elsa, Raymondville, Los Fresnos, Cameron Park and Monterrey. This includes Starr County, Hidalgo County, Cameron County, Willacy County and Zapata County, as well as Nuevo León and Tamaulipas in Mexico.